Are you looking for a best web design company for your website development? Have you gone mad seeing thousands of web development company on Google with a slogan of “the best and affordable”? Wait, you have to be very patient. Choosing a right web design company is one of the hardest things to deal with when you think of creating a website for your business. Since you can find a lot of such companies in your locality itself, taking an easy and immediate decision in this regard might affect your business in a negative way. A thoughtful and serious conclusion is needed. 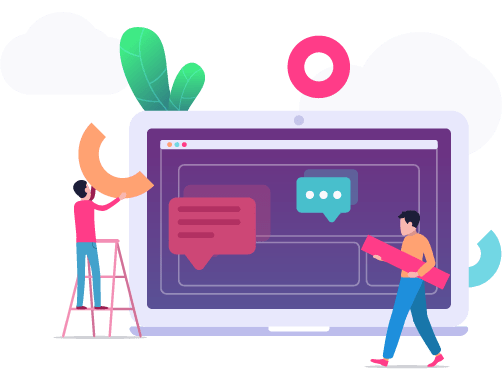 While a thoughtless and ill-advised decision on choosing a web design company can devastate your business, a thoughtful and introspective decision might take your business into new heights of success. There are certain things you must consider while you go for a web design company. Let’s have a look at them. Does that Web Design Company Have a Creative Team? The best way to find out their creativity is to look at their previous works. Will Your Website Be Built Upon A Responsive Framework? How They Are To Deal With? What Is Their Customer Support Policy? Is That A Reputed Company? How They Are Going To Help Your Business Grow? What you must reflect on when you pick out a web development company? Here are the top 10 powerful tips that might help you opt for the right one. A web design company becomes the best and the great only when it owns a creative and innovative team. By looking into the previous works of the company you will get a clear idea on the quality and innovation in the projects they are undertaking. Check out how the previous websites built by them perform and help in the growth of the client’s business. Affordability is what makes a web development company loved by the customers. Affordable companies are always preferable. By comparing the cost between different web design companies you will be able to know how affordable and cost-effective is the company you are going to pick out. Choose a company that fits into your budget. Make sure that you don’t miss the quality as you go for affordable partners. I have seen many companies, reputed ones, giving no worth for the valuable time of customers as they don’t finish the projects within the given deadlines. Keep away from these companies; otherwise, you will get fed up. Make sure you get an estimated timeline from your web development company. Keep following up throughout the process to make sure your work gets completed on the time. Expertise and experience in the field is the most important thing to take into account. Any web development company or digital marketing company without expertise may ruin your web design and so your business. A company with expert and experienced team of developers will amaze you with their work. And a company without it will give you headaches. To check if the company is really an authority in the field, you may ask some questions or communicate with their former clients. A responsive design is a must-have for your business website. According to the studies, over a third of online sales are happening using a smartphone or a tablet. If a web design company or digital marketing company isn’t well-versed in responsive design then they are not ones you are looking for. Before making an agreement with any company ask them whether they are skilled in responsive designs or not. A perfect digital marketing company will be successful in maintaining a good relationship with clients by providing a quality service and helping them develop their business. The way they treat their customers will tell you how they run their business and develop their products. When you agree on terms, make sure they will take your calls, respond to your emails and make updates to your website promptly. When you choose a digital marketing company, check with them whether they are providing future support or not. A good company will offer their clients future assistance and support whenever it is required. Moreover, lack of further support from the company may cause you spend additional costs for maintenance. You should always find out what the company you have opted for has to say about content before hiring them. Content is always the king. It is the actual must-have that keeps your website visitors read what you have to tell them. There is no doubt that quality content is essential for a great user experience. Always keep in mind that a website design is more than just structure and functionality of the website. This is another most important factors you should consider when you are hiring a digital marketing company. Yes, reputation does matter. The reputation reflects their standard, quality and trustworthy. Often you can rely on reputed companies. To know whether the company you pick out is really reputed, you must do extensive research on it checking with their projects and clients. Finally, how they are going to help your business grow further and reach new heights of the success? This is the ultimate question you must ask the web design company you choose. You need something that actually works. You need a website that will bring more and more customers to you. Will they help you market your business through web using different strategies or just create a website and finish the deal? Ask them before you hire them. 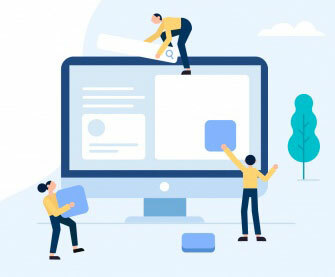 Companies, right from start-ups to big and large corporates, are now rethinking on their HR policies and reaching out to freelance web design company to undertake their various projects and initiatives. Freelancers are more affordable comparing to the companies. According to a 2016 report from Truelancer, India is just after US in freelancing population with more than 15 million freelancers working in various sectors like IT and programming, finance, sales and marketing, designing, animation, videography, content and academic writing etc. A recent survey revealed that 20% of freelance talent demand is driven by large corporates. You can hire an expert, experienced freelancer as the best alternative for a web design company. There are a lot of benefits in hiring a freelance web design company for your project. Competitive price, more creativity and innovation, immediacy, and good communication are some of these benefits. Now, What Kind Of Web Design Company You Are Going To Pick Up? Now it is your turn to think and decide what kind of the company you are going to choose for your business. Consider all the above-mentioned factors with others and pick up the right one.